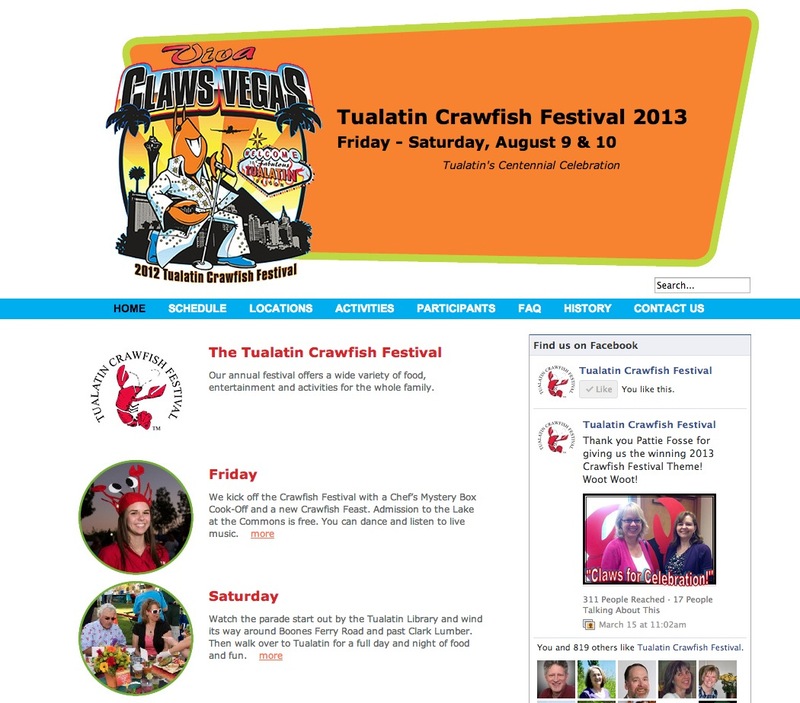 The largest annual festival in Tualatin is coming up this summer on August 9th and 10th, called the Tualatin Crawfish Festival. It’s organized by the Tualatin Chamber of Commerce and the CEO, Linda Moholt wanted a fresh, new look for the web site this year. Valia Eskandari of Edge Graphics Company provided the graphical design, then I developed the site in WordPress so that the Chamber office can make their updates using a web browser. I’ve teamed up with Valia before, we combined freelance skills and created the Tualatin Chamber of Commerce web site as well. I look forward to another fun year at the Tualatin Crawfish Festival, eating food on Friday night, walking in the parade on Saturday morning, and working the dunk tank as a fund raiser for the Veterans of Foreign War, Men’s Auxiliary.